Add a soft, traditional glow to your table or shelf with this set of Stuart candleholders. 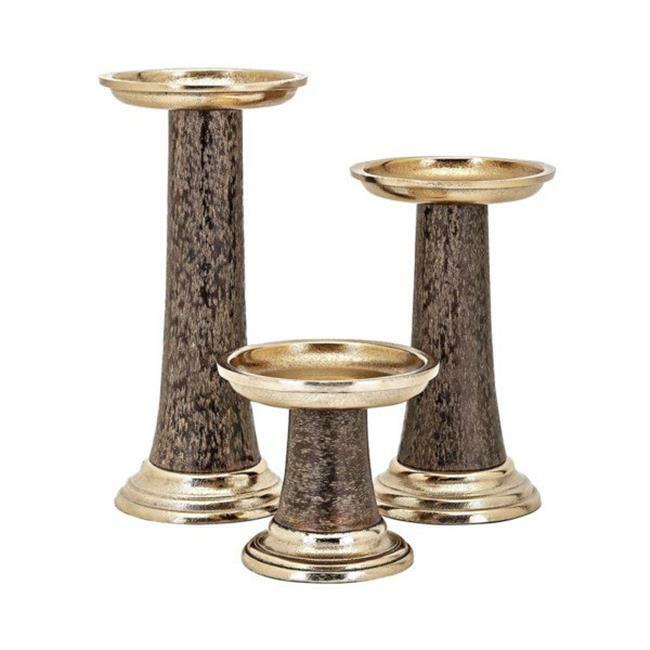 Beautifully crafted using high-quality aluminum materials, these candleholders feature a brass and brown finish that gives them a dramatic charm. The wide, circular bobeches of the candleholders accommodates a variety of candle types, making it a versatile accent piece to decorate your home.